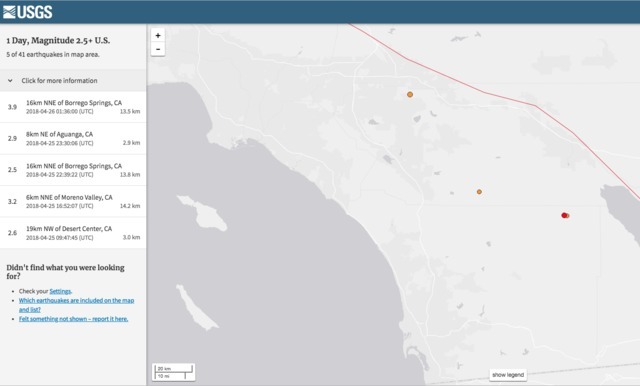 BORREGO SPRINGS, Calif. (KGTV) -- The United States Geological Survey is reporting that an earthquake with a preliminary magnitude of 3.9 hit near Borrego Springs Wednesday night. The earthquake struck roughly 10 miles north northeast of Borrego Springs just after 6:30 p.m. Residents in the area report feeling brief shaking during the earthquake.